From surveys and speeches to non-stop ads and campaign promises, it’s clear candidates are courting Latinos ahead of Tuesday’s general election. Hispanic voters were credited with pushing Democratic Sen. Catherine Cortez Masto and Hillary Clinton over the finish line in 2016 in Nevada, although there’s always speculation about how active they’ll be from cycle to cycle. But what lies beyond the numbers? What’s pushing voters toward the Democratic or Republican parties? 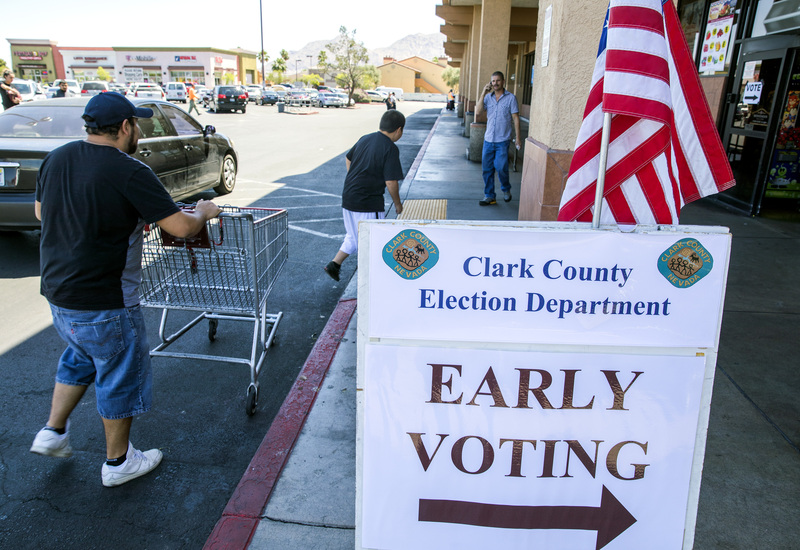 The Nevada Independent en Español talked with members of the Latino community in Las Vegas to understand their thoughts on the candidates, why they participate, and what they think of the image Latinos have in the United States. Here are some of their stories. “Waking up to a new reality” is how Laura Nowlan described her experience joining the Republican Party, just after the first term of President Barack Obama had come to an end. 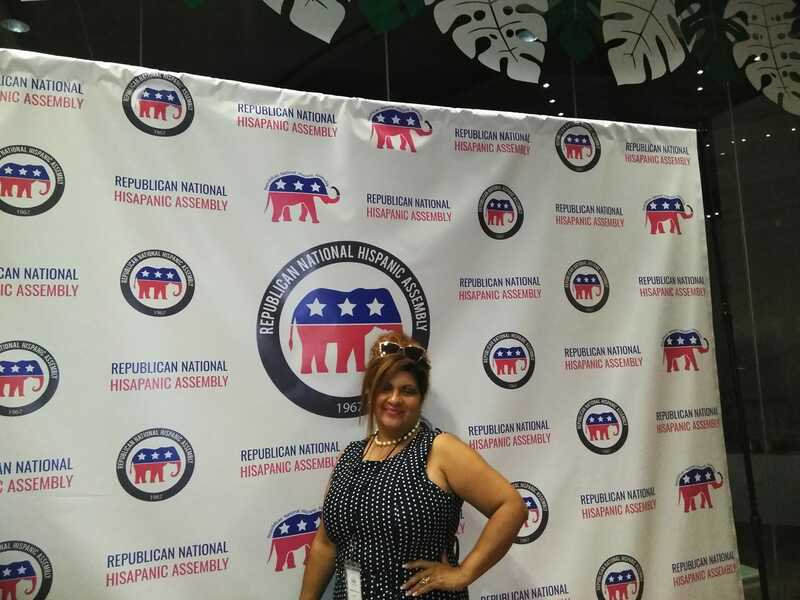 Family and fiscal issues not only influenced her life as an immigrant, but shaped her political leanings to the point that she became part of a group of Latino entrepreneurs who rallied with presidential candidate Donald Trump in Las Vegas in 2016. A few days after her 50th birthday, sitting in her office still decorated with balloons from the party, Nowlan told The Nevada Independent en Español that only a select group of people attended the meeting and were asked not to reveal their encounter with Trump. Nowlan was 3 years old when her parents brought her and her two brothers to the United States from their native Mexico. 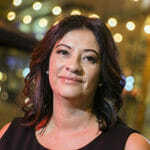 She was able to gain legal status when she was 18 years old, thanks to the amnesty President Ronald Reagan signed in 1986 that granted legal status to more than two million undocumented immigrants. Currently the program’s future is caught up in court. Although Trump asked Congress to reach a solution within six months, the deadline came and went and no fix has passed. Despite criticism towards DACA, Nowlan considers herself a DREAMer, with a history of self-improvement. She built her own recruitment company and a non-profit organization that helps other businesses and the community. With regard to political campaigns, the entrepreneur said they should focus more on educating the community rather than attacking each other. Sandra Salinas couldn’t help but smile when she said that she and her son voted for the first time in this election. Salinas and her son, 22, hit another major milestone earlier this year when they both became U.S. citizens. Interviewed in her office located in east Las Vegas, Salinas said she supports Democrats. In fact, she decided to cast her ballot for the first time at an event where Sen. Catherine Cortez Masto and Senate hopeful Rep. Jacky Rosen voted in at the Cardenas Hispanic grocery store on Oct. 26. Shortly after Salinas, 42, came to the United States, she found a job as a nanny. 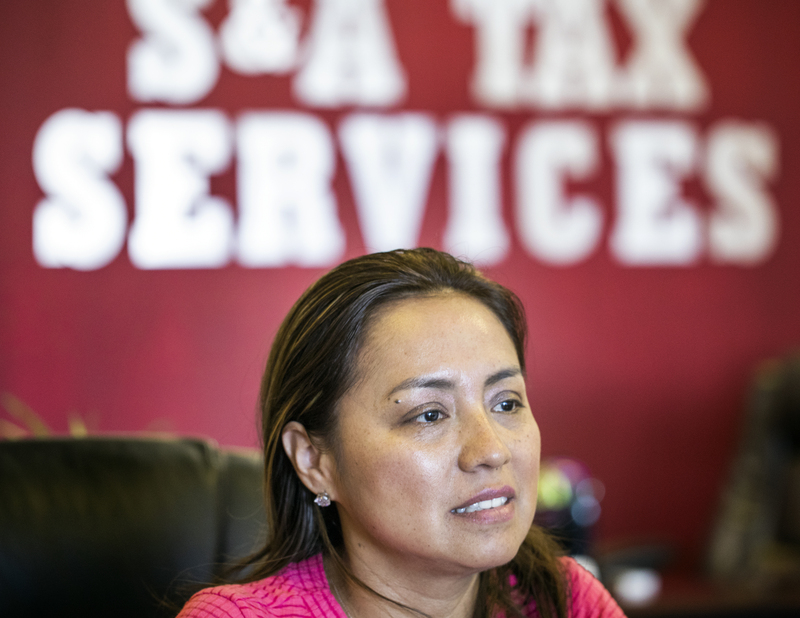 Then she learned English and, three years ago, she became the owner of a tax preparation business. Getting there wasn’t easy. She first worked for a family that was in charge of this type of business, and a few years later, when she felt she was ready, she ventured out on her own. Starting from scratch, she would promote her services by placing business cards on the windshields of cars that were parked outside supermarkets. Salinas would like to see entrepreneurs reflected more in the public perception of Latinos in the U.S. — including in the messages that political campaigns and the Trump administration promote. Salinas said she notices a difference in how campaigns and political parties approach the community. While Democrats focus on what they have done and what they will do for the community, Republicans haven’t approached Latinos and generally they have a negative connotation of them, she said. Another factor is Trump’s rhetoric, which Salinas said has generally stoked division and polarization in the country. Salinas also said that politicians need to focus on improving education — a top issue among Latinos. Rosemary Flores said she joined the ranks of activism in the Republican Party because what she believes is at stake in the election. But Flores, who is originally from San Antonio, Texas and arrived in Las Vegas in 1982, hasn’t always belonged to that party. 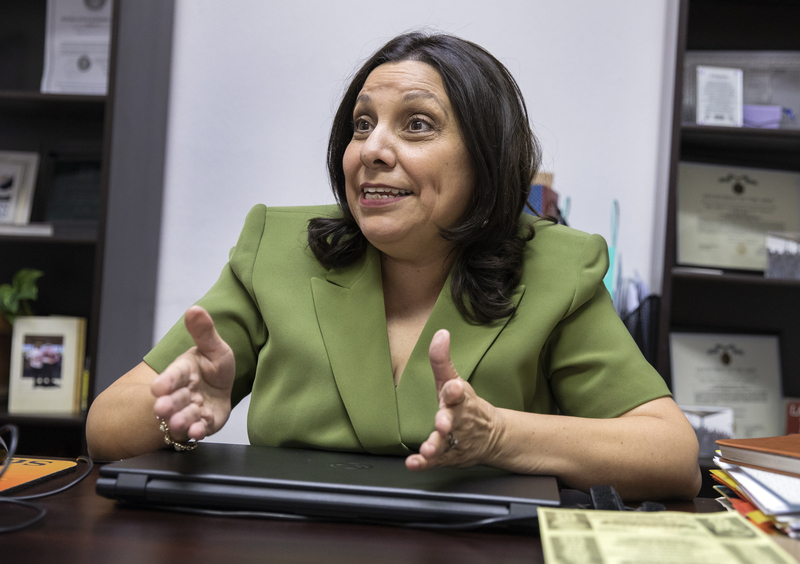 Flores, who describes herself as pro-immigrant, said she registered as a Democrat at 18 and stayed that way until the age of 53, when she divorced the party who she had been loyal to for several decades. Her pivot came during the Obama administration, when thousands of unaccompanied migrant children traveled from Central America to the border of the United States fleeing from poverty or violence. Flores said that the abuse some of the migrant children suffered on their journey from Central America through Mexico in the hands of human traffickers, and inside of some detention centers in the United States, made her realize the issue was not being addressed properly. Although during the Trump administration there have been changes and cancellations to programs that for years have protected thousands of immigrants from deportation and granted them work permits, Flores said she believes the administration wants what is best for everyone. Another factor that motivated Flores to join the Republican Party was that she is against abortion. She believes that supporting Democrats would go against her values, referring to the accusations against Planned Parenthood for the alleged sale of fetal tissue, resulting in an investigation by the Trump administration last September. The Health and Human Services Department released a statement on September 24, 2018, saying that it would review all federal contracts for obtaining fetal tissue. An American flag and pictures of young men in Army and Navy uniforms are the first things you see when you walk inside Sandra Willis’ home in southeastern Las Vegas. Willis, 47, said she became a naturalized 15 years ago, and that she feels honored to see that her two sons are now serving their country. She also has two girls and wants to demonstrate to them the strength she learned from her mother, who brought her from her native Colombia as a child. That is the image she hopes the public has about Latinos who live in the United States, because she believes an anti-immigrant discourse has prevailed this election season especially since Trump took office. Willis wanted to take a more active role in her children’s future. So about two months ago, she decided to volunteer in the campaign for Rosen, who she sees as a hardworking, family-focused woman who knows Nevada well. The owner of a housekeeping business since 2014, also believes this election is an opportunity for Latinos to show that they’re interested in other issues aside from immigration, including registering to vote and tracking what happens in Congress. This mom said Latinos must open their minds and learn more about politicians and their proposals to determine whether they represent their needs. Politics have been an integral part of Irma Aguirre’s family since her childhood. 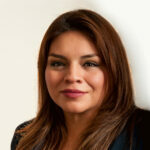 Originally from El Paso, Texas, Aguirre registered as a Republican when she was 18. Since then, she has been active in Republican causes, including making her restaurant available for a roundtable Trump had with Latinos in Las Vegas in 2016. That decision drew strong criticism and even death threats. Aguirre said in a phone interview that her father, who was previously a Democrat, became disillusioned with the party during the Reagan administration and redirected his support towards Republicans. She followed his footsteps. Aguirre, who arrived in Las Vegas in 1970, said criticism of the president on the issue of immigration was “erroneous, irresponsible and absurd,” and added that while Trump’s rhetoric tends to be divisive, Republicans and Democrats should work together to unite the American people regardless of their ethnicity. Aguirre believes that just days before the midterm elections, efforts of both Republicans and Democrats to win the Latino vote can improve, including their political campaigns, which should focus on messages about how they can help improve the quality of life of the community for all. Motivated by an Oct. 20 event that kicked off the start of early voting in Nevada, Maria Rebolledo, who will vote for the first time in this election, greeted the Democrat candidate she wants to become the new governor of the state. 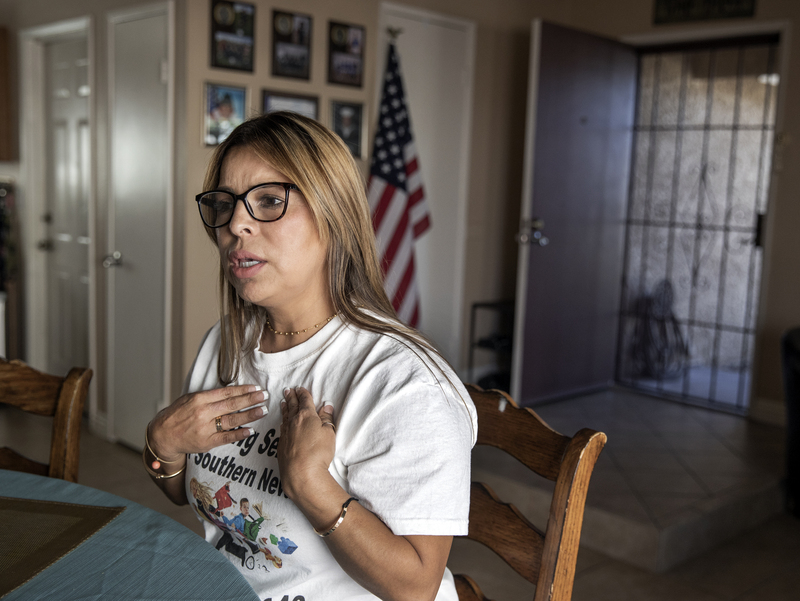 Rebolledo said in an interview that current policies on immigration prompted her to participate as a volunteer with the Make the Road Nevada organization because her parents are Mexican immigrants who came to the United States in search of a better future. She disagrees with the negative image the Trump administration has about immigrants. 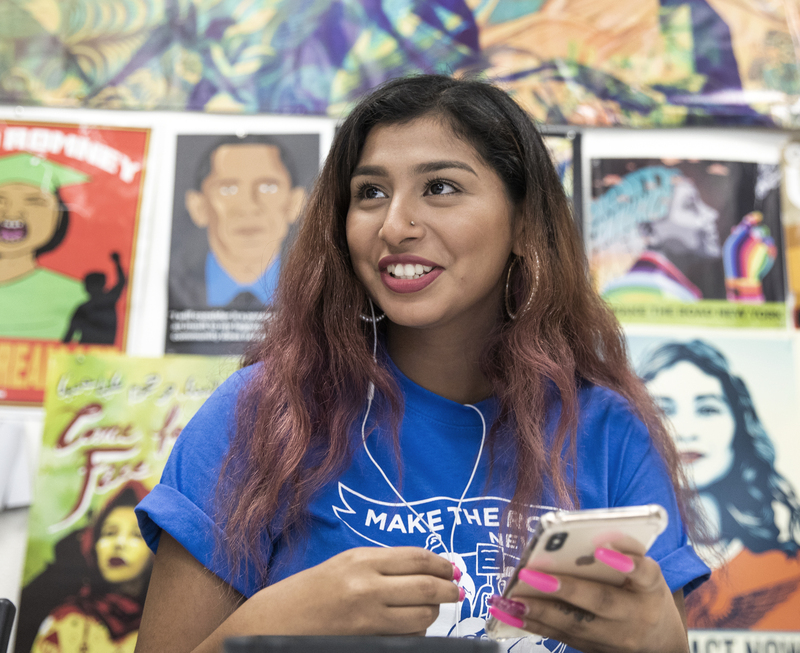 For Rebolledo, who is 18 and studying at Rancho High School, voting in this election represents an opportunity to give a voice to those who aren’t eligible to vote. She also wants to see changes in the law, including a health-care system that is more accessible.